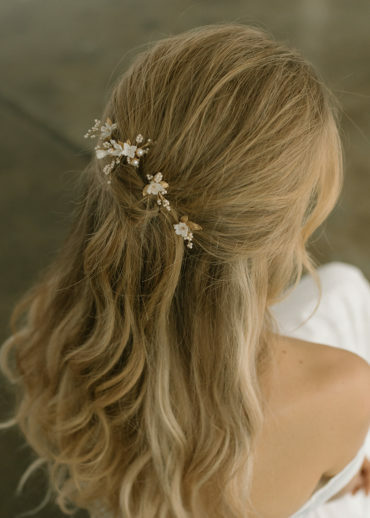 A bridal headpiece, wedding crown or delicate comb is often the perfect piece to set the mood and to capture your style and sensibilities. 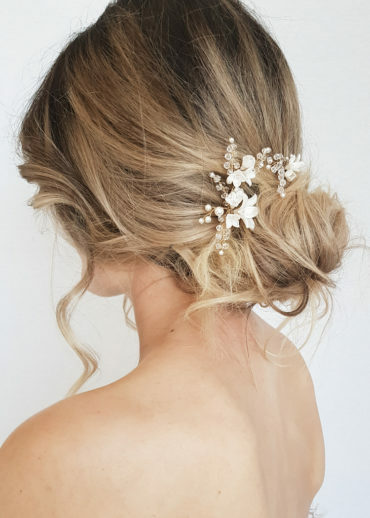 From effortlessly cool bridal luxury, to sophisticated elegance or boho-chic, our pieces are inspired by the bride who’s feminine, bold, charming and sophisticated – a bride who wants to channel the perfect balance of romanticism and ease on her wedding day. 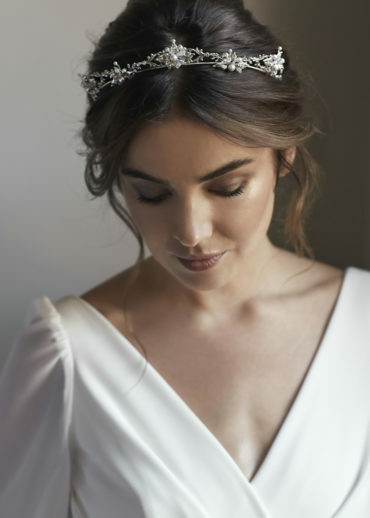 All of our accessories including veils are handcrafted from the finest materials with each piece thoughtfully designed and lovingly assembled. Our signature look is quintessentially feminine, romantic and bold with a touch of bohemian luxe.